Hosting Werewolf this friday, come by and create a powerful thriving village or be slain by the werewolf I only have three rules for this game but if there is something that you know is broken or should be a rule then please let me know. We will most likely play two games, depending on how long the first one will be. I'm making a new bugs thread for visibility. I posted in the 1.54 thread, but I'll say it again since few people probably check that, I'll be making a bug fix version for LTA, I need the list of bugs and whatever information there is about what possibly causes them. Hello everyone,Im Gortuh and i'm novice map maker.I want to present you my first large project,the Dagor Dagorath.Its about the last battle in J.R.R Tolkien universe between Morgoth and Valars. The map isnt the most beautiful one,beacuse i doesnt have much skills in makeing terrarian,but with every update i will try to improve it. If someone of you will want to give it a try,i would be most thankful for reviews and advices. There are probably many bugs and etc... beacuse its still in beta. Sorry if my English is bad,not my native lang. Greetings, I'm releasing a map I worked on for a time but had to stop as I got busier. I wanted to finish it before releasing it, but I don't think I'll have time to do that anytime soon. So here is what has been done so far. The terrain is similar to LTA's but only playable on the northern part of the map, northrend not included. Towns replace CPs, most towns start neutral hostile and will spawn their garrison when attacked; they function as towers. 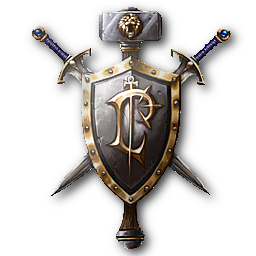 Once you defeat the garrison and the town's HP reaches 0, its ownership transfers to the player with 25% HP. These defeated towns cannot attack, spawn garrison nor do they give income. When repaired, they become active again.